Vermont is the nation’s second smallest state by population, but it has set among the most ambitious energy goals of any state in the union—to provide 90 percent of its heat, electricity, and transportation fuel from renewable sources by the year 2050. The goal is rooted is a strong environmental ethic in the state, but also longstanding values about self-sufficiency and home-grown economic development. Vermont, not many people know, is one of two states, along with Texas, that was an independent republic for a short period before joining the union, and that independent streak still shows in its efforts to lead an energy transition. But what will it really take to reach this lofty goal and, most importantly, how will it shape the state’s economic future? What opportunities and risks lie ahead, and what challenges need to be overcome? Ultimately, it’s a matter of investment and innovation to not just substitute energy sources, but transform the broader economy. On today’s show, we’ll take a hard look at the economic dimensions of Vermont’s energy transition– exploring possible scenarios and gleaning lessons that might apply to other states. Overall: How will a transition to a truly sustainable energy system affect the performance, stability, and resilience of Vermont’s economy? What are the upside opportunities as well as the downside risks of both making the transition and achieving the goal? Transportation: Given that transportation is both critical to economic activity and presents special challenges in transitioning away from oil, what are the key issues, opportunities, and risks that Vermont needs to address to ensure critical transportation needs are met? What kinds of transportation investments and innovations should Vermont focus on to promote economic security and resilience? This is The Energy Xchange. Conversations about how energy connects to the economy and national security and sustainability. Helping you to understand a changing world. Thanks for joining us. I’m Jan Mueller. On today’s show, transition economics with a special focus on the Green Mountain State of Vermont. Vermont is the nation’s second smallest state by population but it has set among the most ambitious energy goals of any state in the union, to provide 90% of its heat, electricity, and transportation fuel from renewable sources by the year 2050. The goal is rooted in a strong environmental ethic in the state, but also long-standing values about self-sufficiency and home grown economic development. Vermont, not many people know, is one of 2 states, along with Texas, that was an independent republic for a short period before joining the union, and that independent streak still shows in its efforts to lead an energy transition. But what will it really take to reach this lofty goal, and most importantly, how will it shape Vermont’s economic future? What opportunities and risks lie ahead? What challenges need to be overcome? Ultimately, it’s a matter of investment and innovation to not just substitute energy sources but transform the broader economy. On today’s show, we’ll take a hard look at the economic dimensions of Vermont’s energy transition, exploring possible scenarios and gleaning lessons that might apply to other states. With us to talk about Vermont and energy and the economy, we have 3 outstanding guests, I’m very pleased to have on the show today. Ken Jones is an economic analyst with the Vermont Agency of Commerce and Community Development and the lead author of the Vermont Comprehensive Economic Development Strategy. Darren Springer is the chief of staff in the office of Governor Peter Shumlin, but also a former deputy commissioner of the Vermont Department of Public Service. Jon Erickson is a professor of ecological economics at the Rubenstein School of Environment and Natural Resources, and a fellow at the Gund Institute for Ecological Economics at the University of Vermont. Ken Jones, let’s start with you if we could and your work on the comprehensive economic development strategy. What are the key opportunities and challenges facing Vermont’s economy, and what role do you see energy playing in the state’s economic future? We’ll start with characterizing the economy, and the way the economic development strategy characterizes the Vermont economy is in 4 pieces. One of them is the workforce. In all of these, we have to keep in mind that Vermont is very small. As we characterize the Vermont economy and as we think about how the Vermont economy changes, a great deal of it is influenced by what happens at the national level and the goal level. In terms of the workforce, we have a population of about 630,000 people, and we have for a rural state, we are a little bit unique in that we have a fairly educated population. Of course, that’s a positive for the economy. It allows people to be more productive. The second piece we look at is infrastructure, what we have for infrastructure, and this is where the energy piece starts to come into play, where certainly we have a transportation infrastructure, much like the rest of the United States, largely road dependent, or car dependent, using our roads, but also the infrastructure includes the transmission of electricity and natural gas, where in Vermont we only have a portion of the state that has access to natural gas. Therefore, the remainder of the state, when it comes to those combustion fuels, uses fuel oil, which again, puts us at a national level, a little bit unique. We have a much higher reliance on fuel oil, for combustion than most other parts of the country. We’ve got workforce, infrastructure, then capital—what it takes to finance activities. Again, this is something, you wouldn’t want to try to say Vermont is unique. We’re looking for angles in which to use some of our attributes to say can we access capital in a different fashion to give us an advantage, but we are largely part of the national economy and accessing capital for new development in a way that every other part of the country does. The fourth part is a little mushier, but it’s the networking. The networking of businesses, we hear when thinking about economies, the importance of clusters of activity, and to the extent that Vermont has some clusters, and this is again, will be one of the topics that’s important in the energy world, our discussion of energy in Vermont. We have a lot of people working in the same field that allows for cross fertilization of ideas. It allows for scale in terms of accessing some of the knowledge and materials in order to implement some of the cleaner energy technologies. In general, the extent to which there is a concentration of activity in any economic sector, that’s a positive. In terms of a strategy for the state, identifying those sectors that we fell will help the overall well-being of Vermonters, a strategy is to consider how we can strengthen that networking. I think I just listed off the 4 pieces, but again, I want to get back to when people think about how the economy is doing, it is how things change, how whether income changes for households or individuals, how consumption changes, and how productivity changes. In that case, the largest factor in every example of characterizing the Vermont economy is going to be based in how things are happening at the national level. When the nation went through a recession in 2009, Vermont was right there with it. As the nation has slowly recovered, Vermont slowly recovers. As we talk more today about energy, it’s always going to be how does it make a difference in Vermont as compared to these large factors that are driving the economy. I followed energy for a long time and prior to 1973, there was a lot of economists or people who spoke about the economy felt was this relationship that the economy was entirely linked to energy use so that as energy use increases, then the economy increases, 1973 was a turning point, because of the first oil embargo, and great concerns that the economy would struggle, because it would, at that point on, would have more challenges in accessing energy resources. The great thing about the economy is when there are stresses put on the economy, then people come up with ideas to avoid those stresses. 1973 represented a lot of activity for people to identify in the business community and the residential community and then the transportation community, ways of accomplishing economic ends without using the same level of energy. We’ve learned since then, and if you look at the GDP whether it be, and well talk about the Genuine Progress Indicator in a little bit, but the GDP measure of straight productivity and its relationship to energy use, that while prior to 1973, there was a strong relationship. Now, we see a much greater levels of productivity without the required increases in energy use. It’s taking that relationship, understanding that relationship, is going to be key as we consider even greater movement in a clean energy direction to how we can continue to increase productivity and decrease the use of the traditional fossil fuels. Then, as we have cleaner energy sources, how those influence the overall economic changes in terms of jobs, in terms of household income, and in terms of what people are able to purchase and pursue as their roles in the economy, and in this case, the Vermont economy. I’ll stop there, and we’ll probably get back to some of the basics of the economy in a little bit. Ken, that’s a great overview. Very much appreciated. Let’s get into some of the details of what Vermont’s doing on the energy front. Darren, if you would, give us an overview what the state’s doing and what still needs to be done going forward to achieve such an ambitious but admittedly formidable goal? Thank you. Thanks for having me and thanks for focusing the program on Vermont’s energy future, because I think we’re doing some exciting things. As you mentioned early on, we’ve got an overall goal in our comprehensive energy plan, of 90% renewable by 2050, and that’s 90% not just of our electricity but all sectors of our economy, which means heating, which means transportation. That’s one of the most ambitious goals that I’m familiar with, certainly, in the US, and competitive with any goal anywhere in the world. In Vermont, I think the reason, and Ken got into this, the reasons why we’re focused on that goal, it’s partly about cost. We actually, through efficiency and renewables, can do a lot, and are doing a lot to help reduce costs for consumers. It’s about diversity of fuel sources, because we know, just like with a portfolio of stocks, if you’re putting all your eggs in one basket, you’re a little more prone to spikes and volatility, than if you have a diversity of fuel sources. It’s about jobs. We’ve got fairly good data indicating that roughly 1 in every 20 jobs in Vermont is related to the clean energy economy. It’s also about greenhouse gas emission reduction, and meeting our goals to be a part of the solution towards reducing emissions and stabilizing the climate and having all the other environmental benefits. Air pollution, water pollution reduction, etc. that go along with that. In Vermont, I think when you talk about energy, the foundation for us has been energy efficiency. We were the first state in the country to form what’s called an energy efficiency utility, years ago, which is called Efficiency Vermont. That is a business essentially, whose job it is to help customers reduce fuel use, reduce electricity use, and safe money. We’ve been able, through efforts since the year 2000, with energy efficiency, we now use roughly 13% less electricity than we would otherwise be projected to use because of our investments in efficiency. As Ken mentioned, we have more reliance than is typical on fuel oil for heating. We have in New England, as a region, somewhat more expensive electricity generally than we have in other parts of the country. When we’re able to reduce energy use, we not just save money for the consumer, but more of the work that goes into energy efficiency is actually dollars staying in the Vermont economy, I think the figure I’m familiar with is every dollar we spend on efficiency, roughly 80 cents or so can stay in the Vermont economy, whereas if we’re purchasing fuel oil for example, those dollars are largely going out of the Vermont economy. There’s a lot of benefits to energy efficiency. We have a good track record there. Over the last 6 or so years, we’ve made tremendous progress under Governor Shumlin, and through policies enacted by the legislature in moving towards more renewable electricity generation. Vermont currently gets almost half of its electricity from renewable sources. Largely, we are a beneficiary of hydro resources, both in and out of state, and we’re beginning to build significant numbers of megawatts of wind and solar projects in Vermont. We’ve established policies that will say that starting in 2017, we’re going to be 55% renewable electric, moving to 75% by 2032, a subset of which, we want to get to 10% renewable, distributed generation. Smaller scale, in state solar and wind and other resources by 2032. We’ve got some policy drivers there that will help move us to that ultimate 90% goal. I think when we think about the challenges inherent in meeting this goal, we think not just about the electric sector, but heating and transportation, and I think there’s fair acknowledgement that transportation may be among the toughest challenges. In Vermont, it’s our largest greenhouse gas emission source, and we are largely a rural state. People drive long distances, in many cases to work. We don’t always have the density to support some of the public transit investments that may be prevalent in other areas of the country, other larger regions. We have some unique challenges and some exciting developments there, and similarly with heating, we’re beginning to see new technologies, like cold climate heat pumps, and continued reliance on local bio mass and sometimes geothermal heat pumps as new solutions to the heating sector that are going to I’ve customers opportunities to diversify and save money. One last point I’ll make before I turn it over is that we’ve had some success, even as we’re building out more renewables and even as we’re moving towards all these new technologies in terms of our electric rates, which matter a great deal to folks who are either doing business or living in Vermont. We’ve had 3 of the past 4 years, we’ve had electric bills go down in Vermont, which is very contrary to the trends in the region in New England where we’ve had neighboring states see double and even triple digit increases in their electric rates. Part of that is due to a reliance on diversified resources and long-term contacts. Long-term stately priced contracts. We’ve been able to mitigate some of the market trends in the region that are going towards higher electric rates and also continue to move to renewables at the same time. We’re fairly excited about some of those accomplishments, and we’re aware that there are big challenges ahead, and we’re looking forward to being able to meet them. Thanks very much Darren. That was a great introduction. Jon Erickson, you’ve written and spoken extensively about the economics and policy tools to promote this idea of an energy transition, but I would love to hear your thoughts about what this transition might mean for the broader economy and how it might affect overall economic activity and growth. What are the potential pitfalls and risks that Vermont needs to understand and any state, for that matter, in making a wholesale transition from fossil fuels to a sustainable energy economy? Great. Thanks Jan, for this show and having us all on, and especially this topic on transition to economics. I can’t think of a more important topic to be focusing on in the season of transition right now, as we can see in the US politics in particular. Yeah. The transition is going to happen, either by default or design. By default, we are going to have to move to a low carbon economy. By default we’re going to have to wean ourselves from non-renewable fuels, fossil fuels, and Vermont and other states have a chance to do this through a comprehensive planning process. Have a chance to do this by designing a future that we want instead of crashing into a future like we did in the 1970’s. We crashed into the realities of how dependent we were on foreign oil. The aspect of design, we have a lot of important questions to answer. Can we do this business as usual and keep cranking the technology arm, grow like we’ve always grown, import, export, rely on trade flows, but just do it in a way that is a cleaner more renewable growth of our gross domestic product? Or, do we really have to have bigger questions about our energy lifestyles, about the trade-offs between conservation and growth, about the ability of efficiency to take us quite a ways, but can it take us all the way where we want to go? Indeed, Vermont is a leader. You’ve heard some already from Ken and Darren about why the little state of Vermont is and has a chance to show the nation, and indeed the world that we can do this a different way. Ken mentioned that we’re small. That’s great. A small state allows for a lot of experimentation. We’re the only state in the union that doesn’t extract fossil fuels, nor do we use fossil fuels to generate electricity. In a lot of ways, we’re already on that path to trying to figure that out. As Darren mentioned, we’ve made huge efficiency gains, per capita, residential electricity energy consumption, we’re already in the lower third of the US states in terms of our reliance on electricity. Increasingly, that electricity is being produced in a way that emits less and less carbon. 1 in 6 of our houses use wood as a primary energy source. A quarter of all of our energy consumption is already from renewables. Hydro, biomass, and increasingly wind and solar. As Darren mentioned, half of our electricity consumed is also from renewables, and we’ve got aggressive goals to get us to 75% of our electricity in the short term, on renewables. 90% of all of our energy consumed on renewables by 2050. The challenge for Vermont as it is with any other small state or small municipality or small regional economy is to what extent can we do this in a way that is home grown? We are indeed reliant on the rest of the economy. We are indeed dependent on the rest of the economy. As the economy grows, so does Vermont. As the economy shrinks, so does Vermont. The bigger questions, I think, for a state like Vermont, is the question of to what extent can we continue to grow or to what extent do we want to continue to grow? By growth, I mean here the traditional measure of growth. Gross domestic product. More goods and services produced each and every year going forward. More consumption, more production. Vermont has an opportunity to maybe show the path forward that says infinite growth on a finite plan is ultimately whether its growth based on renewables or non-renewables is ultimately a bankrupt strategy. We are decarbonizing our growth. We are using less energy per unit of growth, but the challenge for Vermont is as we’ve used less energy per unit of growth, we’ve found more ways to use energy, much like the rest of the country, and indeed the world. Vermont continues to grow, but in a way that imports a lot of our energy. We continue to grow by consuming things that we don’t necessarily produce here. There’s the question of carbon dioxide and greenhouse gases that are embodied in the trade. You get different answers to the question of energy growth nexus depending on where you draw the circle. In the case of global climate change, in the case of weaning ourselves from fossil fuels, these are ultimately global questions. Vermont could grow, and it could grow green and we could do it in a way that is less carbon intensive, but if we do it in a way where we’re relying on carbon from elsewhere or we’re relying on manufacturing from elsewhere, or we’re relying on trade to reduce our own greenhouse gas footprint, on an increasingly full planet, that’s a way in a sense that externalizes our development onto others. What’s really exciting about a truly comprehensive economic development strategy which Vermont is moving towards with leadership from folks like Ken and Darren is to be truly comprehensive and to start to redefine growth in a way, to move more towards what you might call qualitative improvement instead of quantitative expansion. How is it that we grow the quality of our jobs, the quality of our communities, the quality of our society, and not necessarily in a way that means more stuff. More good and services. How do we grow in a way that’s more equitable. One of the biggest drags on the Vermont economy right now, and indeed the rest of the country is the fact that we’re growing in an increasingly inequitable way. In the past we’ve ignored equity because we said geez, let’s just worry about how big the pie is, and no one needs to be concerned with fighting for their share of the pie, as long as the pie is growing, growing, growing. Well, in a world where growth starts to have more costs than benefits, we have to start to think about the distribution of the benefits of growth. This is also a place where Vermont can really show some leadership. We’ve been experimenting with different kinds of metrics, different measurements of economic success. Different ways in not only weaning ourselves from fossil fuels, but weaning ourselves from this distinctly American dream of infinite economic growth. Jon, that’s a great introduction as well. You guys have set the stage beautifully. We’re going to take a short break, and we will probe a little deeper into that landscape of energy and the economy in Vermont. We’ll be right back. We’re back talking with Ken Jones of the Vermont Agency of Commerce and Community Development. Darren Springer, chief of staff with the office of Governor Peter Shumlin, and Jon Erickson, professor of ecological economics at the University of Vermont. During the break, we were talking about the fundamental issue that this is going to take an awful lot of investment to make happen. A lot of the economic motivation for that is not just the jobs that we create with manufacturing around renewable energy industries, but the cost savings, and how your return investment comes a lot from the money Vermont will save by not sending it out of the state. Ken, you had a great anecdote about just on the residential sector about how we’re not really focusing investment decisions around real estate, which is a huge part of the economy, thinking about energy and return on investment. You want to elaborate on that? Sure. The state’s comprehensive energy plan identifies that an important path that we need to pursue with greater vigor is to improve the quality of our structures. We’ll use houses as our example. They’re more than 200,000 houses in Vermont, and many of them, most of them, would befit from the investment to reduce their energy use, largely in heating, but certainly also in some of the other electricity consuming activities such as lighting, and how we operate our televisions and all of that. Each of those activities requires an investment. The typical way that a home owner has to consider or does consider whether to take that investment is how much will they save? That’s important, and it does indeed drive the decisions, but one of the other things that happens especially when we think about the weatherization of a home and how easy it is to heat and cool is that the actual value of the building is improved by taking those steps. For the many folks that have done it, they recognize quite quickly that the comfort level, because there’s less draft in the home, is increased. Even the bottom line piece is many people are going to end up selling their homes. Because the costs to heat and cool the house are an important part of home ownership costs, that should be included more than it is today in the actual value of the house. As an assessor comes by, it’s not just the square feet and how aesthetically pleasing those square feet are, but also how much does it cost to heat and cool, and if a house is very expensive to heat and cool, that should decrease its value, because the future homeowner is going to have to spend more money and therefore have less money for other things. Similarly, if a house has been tightened and uses passive solar, as an example to provide some of that heating during our cold winters, then it decreases the costs of home ownership, and therefore the value of the house is increased and from a mortgage provider’s perspective, the ability of that home owner to be able to meet the mortgage is increased with that kind of investment. The end goal where we need to get in terms of the real estate is to have a proper valuation so that when someone is looking at the investments necessary to improve the quality of their house, that they not only get the short term benefits of decreased fuel consumption, but also the longer term benefit, the ultimate benefit of when that house gets put back on the market, that house is worth more. When that happens, it will provide a greater incentive, so we’ll be able to accelerate the number of folks that say yes, it is worth it for me to invest in my home, and we get that benefit of reduced reliance on the fossil fuels that many folks use to heat the home, and it makes economic sense for the homeowner and the mortgage provider, because the value of … As we know, many houses are partly owned by the banks. Their value should be recognized when someone makes those investments. That’s a great point and a great story. We’re going to need a whole lot of investment, not just in residential sectors, but in industrial and across the economy. Darren, what’s the state been doing to try and stimulate some of that development or get that development, that capital flowing in the right direction? Yeah. We’ve had some good programs that touch on some of the issues that Ken’s raised, and more broadly, a couple things I will mention. First, we have done some interesting work around a voluntary building energy label that would address some of the issues that Ken is raising for home buyers and home sellers to get a little more transparency into the energy characteristics of a building, but perhaps, equally or maybe even more important in some respects, what we’re seeing now that we didn’t have in my mind 5, 6, 7 years ago, are financing opportunities for home owners and for businesses who want to change the energy profile of their home or building, make it more energy efficient, invest in solar on the roof, invest in cold climate heat pumps, or other things that reduce energy consumption and fossil fuel use. I’ll mention just a few aspects of that. The state has partnered with some of our co-ops, 2 in particular, and our fuel dealers, to launch something called the heat saver program, which basically says that if your fuel dealer is a more forward looking, more efficiency minded fuel dealer, they can be part of a network, they can go to your home, and say hey, I think you could use some additional insulation or I think you could use an upgraded heating system that would save some energy. I’m not just telling you this and saying you have to come up with the capital, but I can offer you a reduced rate, or even sometimes zero interest, based on your income level, loan program, that is not a secured program, it’s an unsecured loan, and allows you to finance these types of improvements, and if done correctly, can match the finance payments with the energy savings, so that the homeowner or the business are not necessarily going to be losing money. They’re going to hopefully saving money or at a minimum breaking even until the asset is paid off and then saving money. That’s an opportunity that didn’t necessarily exist a number of years ago, you might have had to do a home equity loan or take out a credit card loan or something less attractive if you were making an improvement. The other bigger piece in terms of moving capital to some of these investments that we want to see, is we have a number of forward looking utilities in Vermont. We have one investor-owned utility, Green Mountain Power, that serves a large portion of the state that’s been recognized nationally for their for their work on solar and energy innovation. We have a strong municipal utility sector in Vermont, Burlington, our largest city, has a municipal utility that is now 100% renewable, quite an achievement, which was also nationally recognized. They’ve been doing energy efficiency work for a number of years, and we have a number of co-ops and smaller municipals that have great achievements in energy as well. One of our co-ops is also, I believe, 100% renewable. Washington Electric co-op. What we’ve done in Vermont, with our renewable energy standard, which was passed into law last year, was not just set a target for renewable electricity consumption, which we talked about earlier. We also set up what’s called an energy innovation tier, and what basically says to utilities is that you’re going to help meet your customer’s need for reduced fossil fuel use and energy savings, not just through electricity that you’re providing to them, but to those other sectors we want to get at like heating and transportation. Increasingly, in Vermont, were recognizing that electricity is no longer just about turning on the lights. It is a transportation fuel through electric vehicles and plug in hybrid vehicles, and it is a heating fuel and an efficient heating fuel. We’re not talking about the old resistance electric heating. We’re talking about new highly efficient cold climate heat pumps that can heat a home even when the weather outside is below zero. Those opportunities are being leveraged through our renewable energy standards, which sets an increasing goal every year for companies to do projects with their customers, finance, support, incentivize, all those types of things. Bring projects to customers that will make reductions in fossil fuel use in the transportation and the heating sector. I don’t think there’s another state that’s done that quite as comprehensively as we have, and if we can carry that out successfully, the projections are that I’ll save a net of over $300 million over a 15 year period for Vermont consumers, which is a nice boost for the economy, but it also drives capital investment into those sectors that we were just talking about, tightening up buildings, and doing some things in the transportation sector. I think we’re fairly optimistic that that will be a policy that will help us in getting towards our goals. You know, Darren, I’d love to ask, what do you think was the big difference for Green Mountain Power, versus other investor owned utilities around the country who are frequently the barriers or foot draggers on a lot of this stuff? Was it politics or was there an economic rationale or opportunity that they seized upon? I think it’s a combination of things. First, I would credit that there has been strong leadership at Green Mountain Power that has recognized the need and the imperative to move towards a lower carbon future and to do so in a cost effective way. We start there with leadership that acknowledges the imperative to move in a different direction. We combine that with strong state policies, such as our net metering program, other renewable programs that we have that help to drive utility investment in these areas, but here’s the piece that I think is most different in Vermont. Which is, across the country we hear a lot of conversation, particularly around solar and net metering. The net metering wars, the utility fighting, the solar industry, and in some cases fighting customers over whether or not customers should be able to put solar on their roof and net meter their bills. There’s the national Edison Electric institute has warned of a downward spiral for utilities whereby a customer’s net meter and are using less of the product, and therefore the product becomes more expensive for the remaining customers, and that drives more customers to want to adopt solar, and you go into a downward spiral. What I think our utilities here, particularly Green Mountain, which is our only investor on utility have recognized is customers want solar and these new technologies and they’re going to adopt them. We’re on the cusp of the energy revolution the same way the cell phone disrupted land line telephone service. They’ve chosen not to fight that disruption. They’ve chosen to embrace it. They see a future where providing the customer with the financing, the incentives, the project expertise, gives them a much more vital than would otherwise be the case. Green Mountain Power is partnering with Tesla, for example, being the first utility in the country to offer homeowners to have a power wall, energy storage, battery in their home and providing an economic value to customers who are willing to share the use of that battery with the utility to help make our grid more resilient. Green Mountain Power has partnered with solar companies to do installations. They’ve created an E-home program where you can finance right on your eclectic bill the improvements that we’ve been talking about, the efficient appliances, the solar, the heat pumps. If they can provide that as a business model, and if they can get more of their economic revenue and opportunity from these products the consumers want as opposed to the old model, just trying to resist change and sell more power over large transmission lines, they see a future there that’s a good and vibrant future. That’s, I think, what’s different than some utilities around the country. Can I chime in a little bit there, to add a little bit to that Green Mountain Power story? You talk about other utilities dragging their feet. I think not only do they not recognize what the future holds, but I don’t think they understand their past very well in that by pursuing as Vermont has done, by pursuing efficiency and pursuing distributed energy generation, we’ve avoided, and I’ve seen the number already, about $300 million in transmission expansion, because simply following the past model didn’t take into account the increasing costs that it does to get the power to the building owner, and by thinking, by allowing for and encouraging distributed energy, it has taken a significant burden off the transmission capacity and the great thing about solar is this region, most regions of the country are summer peaking. The highest consumption is that time during the day, the hot summer day, when also solar generation is at its highest, and we have moved largely away from those summer peaking rates, where in order to get that last few megawatts of electricity into the system, we have to bring in the dirtiest, most expensive generating faculties. We’ve been able to largely eliminate that in Vermont and partly in New England for the summer peak. That has saved a very significant amount of money, and it’s a result of again, this encouragement of these new distributed energy sources, which yes, they pay a little bit more for, but I think they had some pretty strong mathematicians there to recognize that paying more really has saved the system a lot of additional costs. That’s a great addition that basically just sharpening your pencil and figuring out all the ways you can get some money, and doing that analysis, which Vermont seems to be doing. Kudos to you all. Jon Erickson, what would you add in terms of investment. You had some thoughts especially about transportation. Yeah, these are fantastic examples of how Vermont has found a different way, how Vermont has gone back, for example, of age old principles of let’s manage the demand side instead of just constantly crank up the supply side. In many ways, and probably the utility regulators and the utilities themselves would disagree, this is some of the low-hanging fruit. It’s some of the obvious things that other states should be catching up to Vermont and doing. Ways where we can actually save money but without much change in lifestyle. Without much change in how the system works or functions or looks with the exception of the decentralization. I think that’s a major change. 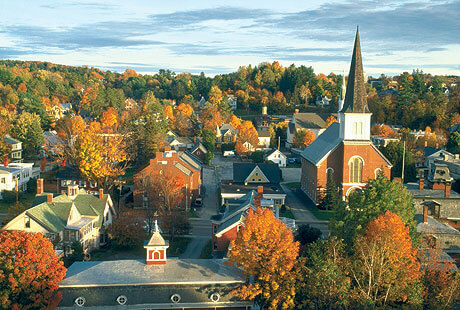 Investment, though, in Vermont, also means investment in planning, investment in a cultural shift. Investment not only in the built capital, but in the human, natural, and indeed, the social capital. The systems, and the cultural systems that we really have to really be thinking about, 10 20, 30 years out. We’ve done some significant modeling her at the University of Vermont, and modeling pathways to 90% renewables by 2050. I can tell you quite confidently that you can’t get there with a rapidly growing economy. We have to imagine a different kind of an economy. We have to imagine an economy that’s far less reliant on GDP growth and moves much more towards a resilient steady state economy. Transportation is the perfect example here where we can imagine a future where we drive as much as we’ve always driven, take long distance trips. Vermont is usually in the top 5 among states in terms of miles driven per capita. We drive a lot, as was mentioned. We’re a rural state. A lot of that has to do with how we’ve planned our lifestyles, how we’ve planned our landscapes, how we’ve planned our communities. Our state of Vermont, energy related CO2 emissions, we have the highest share in the country. We’re north of 56% of our energy related carbon dioxide emissions comes from transportation. That’s a significant challenge. Could we reduce the carbon intensity of our transportation lifestyles by, for example, moving towards a grid based transportation system, an electric based transportation system and making sure that that grid is renewable? Sure. In many ways we’re already doing that, but I would argue that it’s going to take more than just simply cranking the technology arm. One of the ways that we can imagine a system wide change is really putting a higher and higher and higher price on carbon. This is a challenge in the transportation sector. It’s a challenge for our nation, quite frankly. We sit here currently, and we pay at the pump, about 60% of the world average in terms of the price of gasoline. If you run around the world and count up the effect of carbon taxes that’s on gasoline now, the actually energy taxes that countries put on fossil fuels, you’ll find that the US is at the bottom of the barrel. In fact the range is between $6 a ton of carbon, and $140 a ton of carbon. The United States is at the bottom of the barrel at about $7-8 a ton of carbon. Fortunately within the US, states have started to show more and more leadership around transforming not only how we tax energy, but how we tax ourselves, how we reform our tax system. Vermont is one of a number of states that is considering a tax reform that would place more of our state’s tax burden on pollution, on carbon, and less of the tax burden on income, on Vermont jobs, on Vermont profits. This is a strategy that nations have done for many, many years. This is a strategy that sub national provinces or states are starting to experiment with. British Columbia being the most prominent example right now, a province in Canada that in 2008 started to tax carbon, ratcheted that tax up over a 4 year period, and as a result, was able to give that tax revenue back to their citizens through tax breaks elsewhere. They now have the lowest income tax rate of all the provinces in Canada. They have one of the lowest corporate tax rates of any regional economy in all of North America. Oh, by the way, they also reduced their fuel use by 16%, while the rest of Canada went up by 3%. It’s similar to Vermont, a rural province outside of Vancouver. Very rural. A sub-national unit that decided to reform their tax system and really took head on the dependence in particular of the transportation sector on fossil fuels. These are the kinds of things beyond just simply investment or beyond technology improvements or beyond doing the smart things that we need to do anyways, but really starting to change the policy landscape, the price landscape, to move more towards where our European colleagues have done now, really since the energy crisis years of the 1970’s by putting more and more of the onus of the tax burden on pollution and moving it away from work and innovation and home grown jobs. I’m not sure what happened in British Columbia. Where do the savings in energy on the transportation side just come out of people just driving less? Yeah. It was in part driving less. Didn’t happen very much through any kind of technological shift. You go to Norway or Sweden or the UK or Germany, and they’re paying 3-4 times the price at the pump that we are. You haven’t seen a big shift to electric cars. You haven’t seen a big technological shift. People, in the case of the UK, are more dependent on their cars than ever. It’s not just simply getting the tax put in place, but it’s using that tax revenue to make the investment in a renewable future. It’s using the tax system to structure it in such a way to reward companies who use energy less, but who might keep jobs within country or within state. It’s using the tax system as a way to create the kind of cultural shift that would eventually create a kind of economic system that for example is re-localized, an economic system that depends much less on importing cheap energy or cheap electricity from abroad, and move towards a system that begins to not only grow the kinds of job that we need in a carbon constrained economy, but sees the kind of size of the economy that is consistent with a finite planet. Let me just say, that transportation in Vermont, it’s a big share of your carbon emissions, but leaving climate out of it for a second, it’s fundamental to the economy in terms of you’re a very tourist oriented state for people coming to Vermont for recreation, and vacations. Not just people getting to work, but bringing goods and services in and out of the state. I’m wondering what the discussion has been about ways … You were talking about Europe, well before they were talking about carbon taxes in Europe, they’ve got a 50+ year, they kept investing in rail and inland water, and non-truck, car transportation. We haven’t, frankly, relative to Europe anyway. I guess I’m wondering how Vermont is thinking about when fossil fuels, oil in particular, transportation is 90+% dependent on oil. When that becomes a less affordable fuel and becomes economically less attractive to … Basically it becomes a huge problem, we don’t want to be … We want to have thought about that ahead of time. I guess I’m wondering if the conversation in Vermont is thinking about critical economic functions like freight, emergency services, whatever it might be in … Just to have a redundancy that Europe has. Everyone points to the different land use that Europe has, but they’ve got rail that covers the entire country, rural and urban. I’m just curious to what the state of that discussion might be in Vermont. I can start. I think it’s all over the place. There are those that think that if we simply move to an electric transportation system we’ll be fine and we can continue business as usual. Others believe that those kinds of European style investment in public transport, rural public transport’s a challenge, but other rural places in Europe have done it just fine. Investments in the kind of rail systems that makes us more connected in that sense, to Boston, Montreal, New York, rather than less connected. We’re starting to see some movement in that direction in making the kinds of rail improvements that Vermont would need to make so we can reconnect to trade corridors to Vermont, Boston and New York. It’s going to be a mixed bag, but it’s to say that flipping the switch and moving to electric transportation isn’t the only part of the puzzle. This is started a pretty big debate within the environmental community in Vermont in terms of if you build it they will come. To what extent do we make investments for example, in electric charging stations all across the state, so that we can continue a kind of system where everyone can ride by themselves in their own car to and from work, to and from the state at will, or do we use public monies to invest instead in better planning, more compact development, ways where the work transportation nexus can be broken down, ways where we can consider different patterns of living and different energy lifestyles and not just simply business as usual but now in a plug in hybrid. Darren and Ken, yeah, what are your perspectives? Sorry, go ahead, Ken. Yeah, I think there are, and I’ll say fortunate, but maybe that’s just wishful thinking. There are demographic changes taking place that may really encourage the discussion of our transportation structure. A, the biggest demographic change one that has always overwhelmed us is the baby boom. The baby boom is now retiring, is getting older, and part of getting older is less desire to get in their single occupancy vehicle to move around, their less ability to do it for those folks that are being challenged. The recognition that having services in a more localized location is going to be beneficial, is going to help what is already a fairly strong sentiment in Vermont. Not always acted on, but a strong sentiment about the desire of strong urban centers, strong villages. The extend that the demand is taking place beginning to take place at a greater level from the older folks in Vermont is going to strengthen that direction, but also we hear about the millennials. The millennials are more interested in having more of a downtown experience than having the 5 acres out 10 miles from town, that was a very significant part of the growth for Vermont for quite a while. We are seeing that kind of demographic change, that kind of cultural change, that I think opens up for more support, the ideas of what it takes to have more hub and spoke transportation, hub and spoke transportation for people to get them between the more concentrated areas that they want to be in and yes, for the goods and services, if we can piggy back the rail, so that we have more rail for people to get between large areas and then have that rail available for moving our commercial products. That’s a direction I think is possible, and until we have an absolute certainty as regards a strategy that’s going to get us off fossil fuels, we have to keep those options open and pursue them to see how the benefits are receive by the public. Darren, what’s your perspective from the governess’s office? Yeah. This is a very good and provocative conversation, I think, and I’ll touch on a couple of things. The first is just to point out to your listeners that we have a study that was done by the department of public service called the total energy study, which was essentially a meta effort to get at some answers or at least provide some pathways to the 90 by 2050 goal, looking at some of these different policy pathways, looking at carbon pricing, looking at renewable and investment oriented policies. One of the thatching came out of that study that’s very relevant for the transportation sector just from a technology standpoint is that to reach our goals in the transportation sector, in addition to all the other things we’ve already talked about, the availability and price of advanced bio fuels may well be a contributing factor that many people overlook. We’re certainly not talking about corn ethanol, but we’re talking about the perhaps bio diesel or other advanced fuels that don’t have some of the environmental drawbacks that some of the current fuels may. The study pointed out some of the potential pathways around transportation what would essentially either blended or drop and replacement fuels. That was a development that I think surprised people because we do talk so much about electric vehicles, and we do talk so much about land use and other public transportation investments, that the idea of having drop and replacement fuels, could be very critical, and particularly in perhaps In the heavier truck sector, and perhaps for passenger vehicles as well. That study’s available, and folks might be interested in looking at it. I think in terms of we look at rail, we’re doing some interesting things. We’re going to try to connect, over the next several years, and we have funding in place, federal and state funding to do this, connect Burlington with Rutland, Vermont and then through that people’d be able to travel much more directly to other areas including New York City in a time frame that’s competitive with driving. That’s going to be a big development. There’s been some interest in the legislature in studying other metered rail routes that might be of interest including a Burlington to [inaudible 00:53:55] route. We’ve certainly seen particularly in some of our cities, more of a movement towards car sharing and towards bike access and other alternative modes. I guess my main point for this segment would be that we do have, in the electric sector in the northeast, a regional carbon pricing agreement called the regional greenhouse gas initiative, RGGI, for short. It’s had bipartisan support in Vermont and I think throughout the region. It’s not a significantly large carbon price, but combined with some of the other developments, has been successful in reducing emissions in the electric power sector. I saw a study from the Nicholas Institute at Duke that credited the RGGI program with a fairly significant reduction in the emissions in the electric sector, even when you account for some of the other things that were already happening, like moving from coal to natural gas and some of the other efficiency measures that were already in place. We’ve had some success working regionally. Jon made a fair case for what might be a Vermont only carbon pricing system in the transportation and the heating sectors. I think from the governor’s point of view, and he’s said this a number of times, we’re very interested in looking at carbon pricing regionally, if we can work with our neighbors. The challenge economically for Vermont is that we’ve had … We have a state that’s bordered by a number of other states, and we have a number of other communities that are very close to communities in other states. We wouldn’t want to do something that would put those communities at an economic disadvantage if we were to move forward on carbon pricing and the transportation sector, and the community across the river doesn’t, then we do potentially have some economic downside there. If we can move forward as a region, there’s a whole lot of promise there, and obviously the best outcome would be if we could move forward on carbon pricing nationally. In the absence of that, there’s been some effort to look at it at the regional level, and there’s been some very productive conversations in the early stages with folks in the transportation sector. We’re getting close to the end of our hour. We’ve touched on a lot of big issues. We can’t figure out all the problems in one hour, but we look forward to having you back sometime soon, and we’re going to be doing more shows on Vermont. I would invite you to give your big picture parting thoughts. Darren, why don’t we start with you. Thank you. Thanks again for focusing this show on the Vermont energy transition. I think we have some exciting things going on. I think we certainly have our challenges. Big picture, if I can bring it back to that for a moment. We look at the pace of change, and the things that are being accomplished, and one way we often talk about that is if you look at the amount of solar, the amount of wind we had just back in 2011 when this governor first took office to today, we have over 10 times the number of solar panels installed in Vermont than we did back then. We have 20 times the amount of capacity of wind installed now than we did back then. Many of the programs and policies we’ve been talking about, been developed or advanced just over that time frame. Quite a bit of change in quite a relatively short period of time, which can give you some hope and some optimism for continuing on the pace that’s necessary to reach the ultimate 90 by 2050 goal. We can talk about it in those terms, and we can certainly talk about all the assets we have going for us, as we mentioned, forward looking utilities we have. This wasn’t mentioned, over 100 town energy committees in Vermont. We’ve got towns where we have grass roots activism around energy. We have energy fairs, we have towns competing to see who can do the most solar in their area, so there’s a lot of exciting grass roots activism around some of those things. I think taking it and drilling down even further, what we really have for the first time for the individual home owner or business owner, are programs that really can create one stop shops for financing and installing energy efficiency measure, renewable measures, and doing so in a way that is’ snot simply something that a wealthier person can afford, but middle and lower income folks have access to programs that can help them save energy and be part of the movement to a clean energy economy. There a re a lot of things that we’re excited about. We’re going to have a new report coming out soon documenting the increase in clean energy jobs. Year over year we’ve been releasing those now for a number of years, I think 2 or 3 years now. Being able to track progress in the economy as it relates to jobs. I think we’ve got some policies in place that are really going to move us in the right direction. Thank you, and thank your listeners for looking at what’s happening in Vermont, and we look forward to being part of a good conversation going forward. Thank you, very much, Darren, and thanks to Governor Shumlin for all his support of all the good work you guys are doing. Jon Erickson, what are your parting thoughts? Yeah. I’ll close on big picture as well. You have framed this show around transition economics, and I think we’ve heard a lot of great examples of how Vermont is really a leader. This small nimble independent state is really doing some amazing things around the transition to renewables, around investments in efficiency and conservation, around redefining what it is to be a good citizen and a sound resilient economy in the 21st centricity. We’re seeing a massive movement away from 20th century thinking in terms of growth and development, towards a 21st century reality to the limits of quite frankly, an old dated model of centralized power, big energy consumption, huge energy flows moving through global trade around the world. Jan, I know you’ve been influenced, and so have I by the work of Charlie Hall and others, who have studied energy transitions from this big picture perspective. As we have moved form energy return to energy investment technologies, and fuels, that had high, high returns, meaning you put one unit of energy in and you get 50, 60 70 out. That was the energy economy system of our grandparents. Our parents have seen more of a system of a 20 to 1 system, where you put 1 unit in and 20 out. We are moving as we move to a renewable energy based system, a system that’s going to have to figure out how to persist, how to survive on fuels and technologies that are ore like 1 to 12, 1 to 10 if we’re lucky. Wind and solar is great, but you have to put a lot more energy in than you get out with these systems. Bio fuel’s great. Even less in terms of energy in, energy out. I’m being a bit academic here, but these are the central questions. How do we move from a system that could survive on one unit in and 20 or 30 out to a system that’s 1 unit in and 10 out. We’ve never experienced this before. We’ve only moved along a development path that has moved to higher quality energy, more dense forms of energy, energy that has pushed along our economic system to a higher energy footprint. We’re talking about bending the curve in exactly the opposite direction now. Vermont and other small localities are going to figure this out probably well before nation states are, and it’s exciting to be in Vermont, it’s exciting to be working at the University of Vermont, it’s exciting to have colleagues like Darren and Ken and others across the state to imagine what that next great energy transition is going to look like. Jon, very well said, and thank you very much. Those are challenging questions, and we hope to revisit them in future shows, and thank you very much for your help on this show. Ken Jones, you have the last word. I’ll just put a little twist on some of my earlier comments. I get to look at the economy, and that’s kind of fun, but there’s a part of the picture that translates … The reason I get to look at the economy is I work for the state government and to try to understand how the market decisions, how people that are making choices on how they produce and how they consume affect the state economy. This topic, the energy pattern that we’ve gone through for the last 100 years and that we look to in the future has this policy aspect to it. I appreciate Darren’s comments, and Vermont has taken some leadership role, but we’re not on the trajectory to meet the needs of the climate change threat that we face, or not just that we face but that we’re feeling today. There needs to be this mechanism to look at the trajectory that we’re on with regards to our use of energy, both the depletion of the resource, the climate change inputs that we continue to accelerate, and at a global level we continue to accelerate the input of greenhouse gases. Make that link back to the market decisions about how do we change our energy future in the great state of Vermont, where we’re small, a nice little place to try some things out. Many of the benefits that are going to come from a clean energy future are not going to be felt by the folks making the individual decisions, but they’re rather going to be these global impacts. That’s a real challenge. It gets beyond economics. It gets to whether it be spiritual, certainly social, but that communication about we make these changes not just to save our dollars tomorrow. We make these changes because we really feel that a long-term future is really going to require a cleaner energy path. To describe that path, to speculate is to what the impacts will be in the short-term, it’s fascinating, but we do need a little bit more of a broader conversation. I appreciate your work, Jan, in terms of getting these discussions out. We do. We need this snowball to get bigger and really see what it takes to not just change the market decisions, but to change the policy decisions that are going to be necessary to realize the big, big changes that are going to happen, but hopefully happen in least painful a way as possible. Ken, thank you very much for those awesome comments and your excellent work. We will keep looking at the interaction between energy and the economy in Vermont. We’ve been talking about the economics of an energy transition in the state of Vermont, wit Ken Jones, the economic analyst at the Vermont Agency of Commerce and Community Development, who was the lead author of the Vermont comprehensive economic development strategy. Darren Springer, currently the chief of staff at the office of Governor Peter Shumlin, but also the former deputy commissioner of the Vermont Department of Public Service. Jon Erickson, professor of ecological economics at the Rubenstein School of Environment and Natural Resources, and also a fellow at the Gund Institute for Ecological Economics at the University of Vermont. Gentlemen, thanks very much for being on The Energy Xchange today. Whatever Happened to Peak Oil?